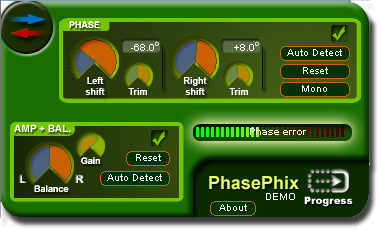 - Independent phase-shift control for left and right audio channels. 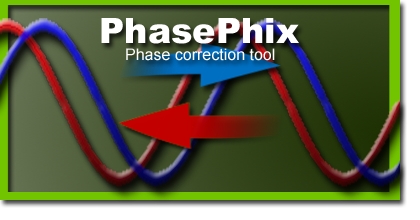 - Shifts all frequencies by the same amount, therefore preserving the phase relations within the signal. This gives better results then a simple time-shift can achieve. 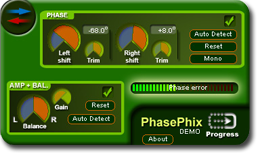 - ‘Auto detect’ feature to analyse your sound and find a setting that minimises the phase difference between the 2 channels. 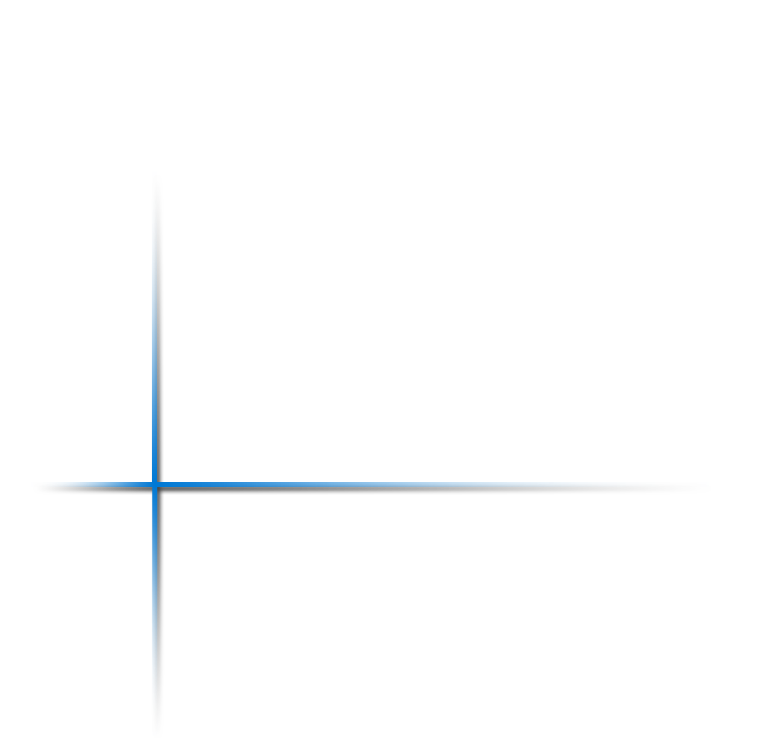 - Balance and gain controls.